We wants to be your source for custom and personalized Stainless Steel Photo Keychains! 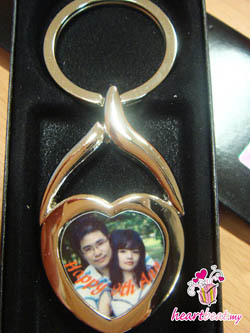 Select one of our keychain styles, match it up with your favorite photo that you upload to us. A great personalize gift to carry your loved ones photo all the time with you. The metal keychain is waterproof,fadeproof & scratch resistant. I have just received my personalised keychain today as the enclosed picture. It's lovely. Oh! And the delivery was fast too. Just as I've requested. Keep up the good work.